Crush garlic, ginger, chilli in a motor and pestle/ in the blender and set aside. Drain water from tofu and mash it with the help of fork in a bowl and set aside. Heat oil in the pan add cumin seeds as it splutters add onion, crushed garlic-ginger-chilli and saute for 1-2 mins. Add bell peppers and saute for 3-4mins. Add cherry tomatoes, chilli powder, salt, and saute for 4-5 mins/until the raw flavour of chilli powder goes off. Then add scrambled/crumbled tofu and mix well until well combined with the spices and simmer for 5 more mins/ until heated thoroughly. 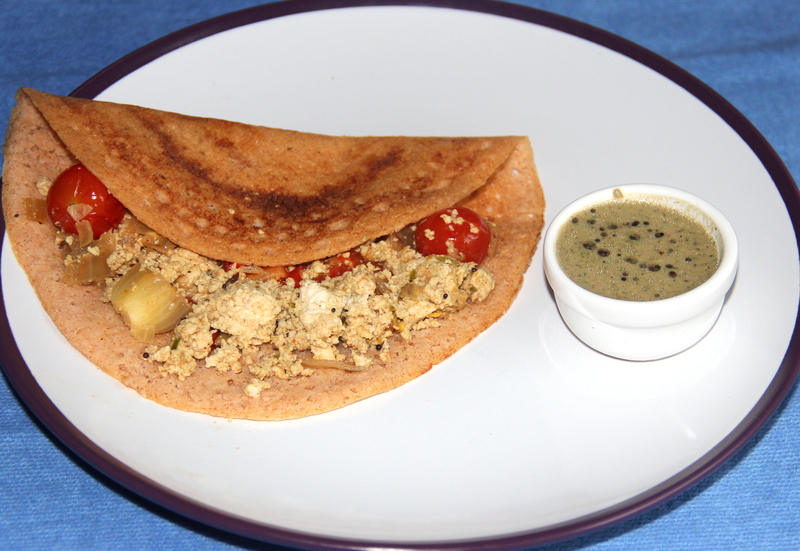 Posted on July 9, 2014, in Indian, Side dish, Starters, Vegan and tagged Carrot Dosa, Chitras healthy kitchen, drchdietfood, tofu recipes, Vegan recipes. Bookmark the permalink. 18 Comments. 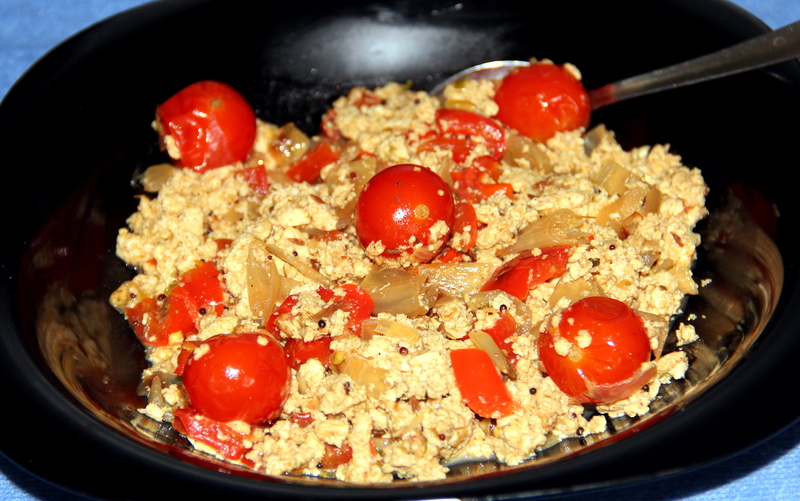 I love scrambled tofu, it does make a great meal and adding the vegetables and chillies make it that much better. Pleasure is mine to participate and meet lovely encourging people like you.